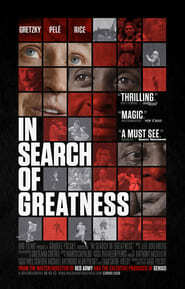 IN SEARCH OF GREATNESS is a groundbreaking film by Gabe Polsky (“Red Army”, “Genius”) revealing the true nature and nurture of the greatest athletes of all time. Through a series of intimate conversations and captivating footage, Polsky leads viewers on an entertaining, thrilling, and inspiring personal journey. The film features original interviews with iconic athletes Wayne Gretzky, Pele, and Jerry Rice, as well as renowned thoughts leaders, Sir Ken Robinson and David Epstein.